Westwood, annexed by Edmonton in 1910. However, Westwood remained mostly rural for many years afterward. After WWII, the neighborhood experienced large-scale residential development, many being single-detached homes. 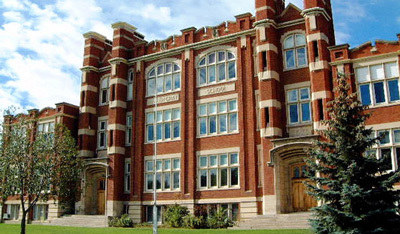 During the 1960's, the area attracted redevelopment, and many houses south of 120 Avenue were replaced with low-rise apartments, coinciding with the opening of the Northern Alberta Institute of Technology (NAIT). Until the 1970's Westwood was pretty isolated with the Beechmount Cemetary and the Municipal Airport in their quiet corner. The neighborhood also hosts one school, the H.A Grey Public School, built in 1913, which closed down in the 1980's, now occupied by Vanguard College, a Pentecostal post-secondary school. East of Vanguard College on 97 is the Westwood Arena Community Center. Westwood real estate is bordered North by Yellowhead Trail, East by 97 Street, South by 118 Avenue, and West by 107 Street. Displayed below are homes for sale in Westwood, a subdivision located in Central Edmonton. For more information regarding any of the Westwood Real Estate listings, click the "Request More Info" button located on the detail page of each property.